Nearly two years ago, I dyed my hair green after seeing a magazine clip of a beautiful dark eyed woman with hair like an emerald and a rose bud mouth. It looked fantastical to me. At thirty-three years old, I wanted a little more fairy tale and whimsy in my life. My colorist, Shayna Barton, was all for the change. She enjoys doing fashion hair colors and promised to give me a shade that would look chic and appropriate for a college English teacher, that which I am. The rudest thing that anyone said to me when I had green hair came from a man: "Why green? Why?" Maybe my hair reminded them of the pea soup vomit that spouts out of Regan’s mouth in The Exorcist, but the comment still irritated me. I’m pretty sure I heard another man gag at my hair as I walked past him in the grocery store parking lot. Rude comments from men are always eclipsed by the hair love I have gotten from other women. Women began to call me a mermaid and sirena, and this helped me feel confident and majestic in my body. My latest hair incantation is a deep purple, the color of grapes on a vine. I feel as witchy as ever. I like to wear the color green with this shade of purple. I like to wear bright red lipstick with this shade of purple. It makes me sad when other women tell me, "That hair color looks good on you, I could never pull that off." It makes me disappointed because I think they can rock any color hair they want to. My hair is not a petty thing. My hair holds stories. Last week while walking across a bridge in Tampa, Florida, a beautiful black woman stuck her head out a car window and yelled, "Hey, cute purple hair!" I felt connected to her in that tiny moment. 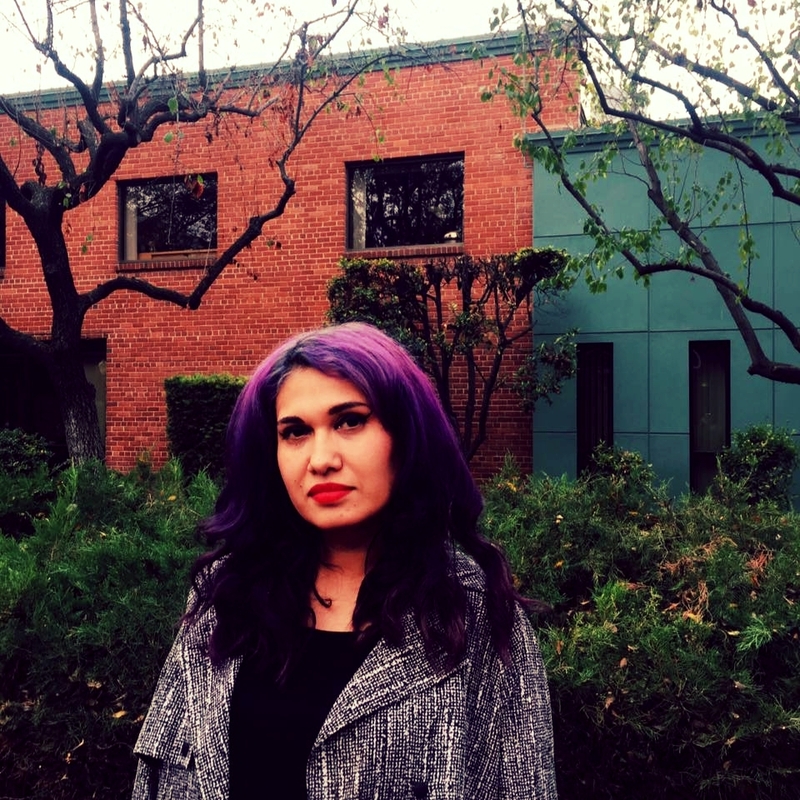 My purple hair is my quirky path; it is my feminism at this point in time, a thing that I always try to meditate on. It is something that is always changing. Maybe one day I will return to my natural color. I am always proud of that color, too. It is also the story of my body. Maybe I will return to it, but not just yet.